If you have a physical store or address for your small business, adding Google Maps to your WordPress site is a great way to make your website user friendly to potential clients/customers. 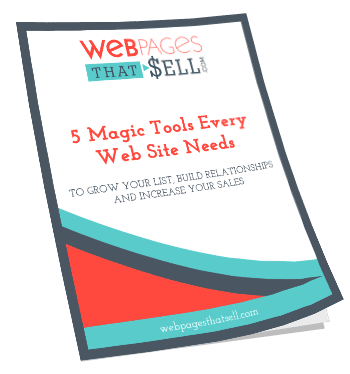 Generally speaking, many website visitors simply prefer to see and interact with your webpage, rather than just read text. It’s also beneficial for customers who aren’t navigation savvy and may wonder if they’ve implemented your address correctly into their phones or may be confused if a similar address populates when trying to find you. 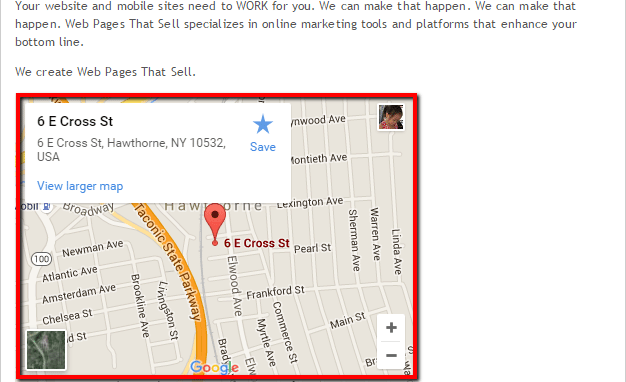 Adding Google Maps to your website is easy, and best of all it’s free! In this blog post I’m going to show you how in just a few easy steps. Step 1. Go to Google Maps. Step 2. 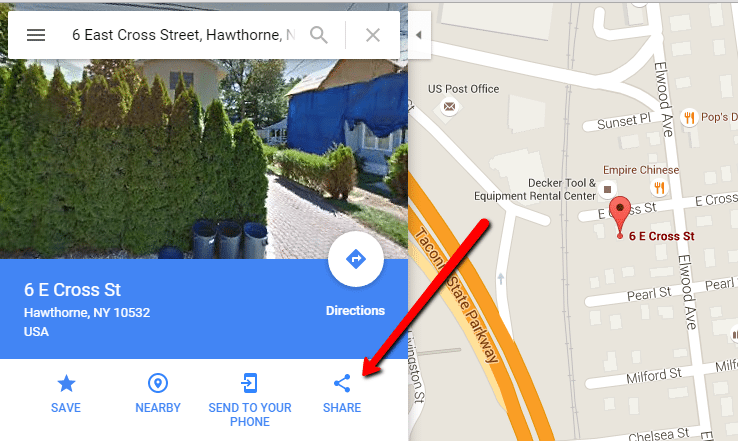 Search the location – business address, home office address etc. that you would like to show on Google Maps. Step 3. When the location is found, you need to click the link button. See screenshot below. Step 4. Find the embed code. You will know this is the correct code because it begins with “iframe”. Step 5. Copy the embed code. Step 6. Go to your WordPress account. Step 7. 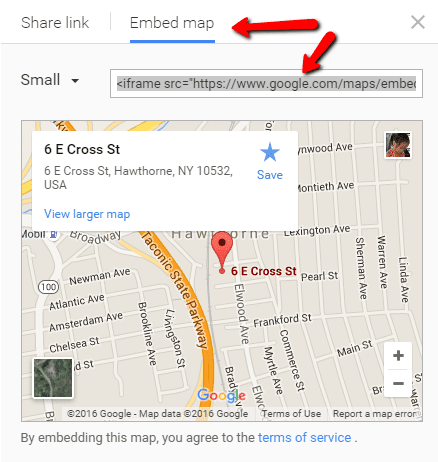 Go to the post or page where you would like Google Map to appear and then select Text then paste the embed code. Step 8. 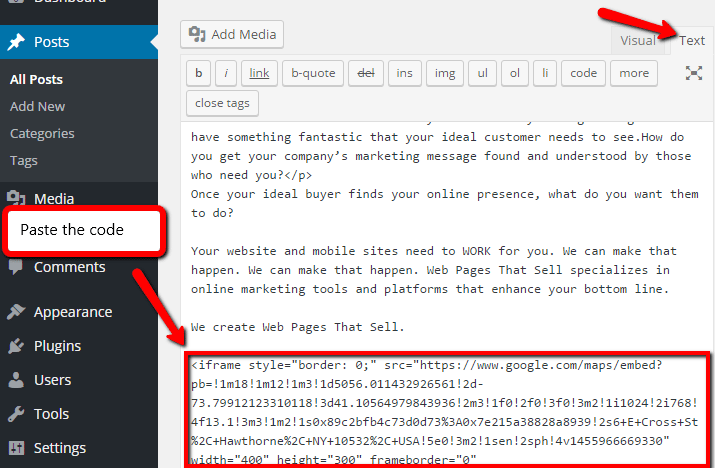 When you click on “Preview” you will be able to see right away that you’ve successfully added Google Maps in your WordPress post or page. And there you have it! If you’re wondering about a plugin or widget for Google Maps they are available, but I find this method of installation to be a lot simpler and easier to work with.